I bought this 45 back in 2005 and was gonna use it on one of those u-spaces compilations but never got around to doing so. Only today I decided to do some research on Edgewood. They were from Memphis, Tennessee and were around long enough to record an album called 'Ship Of Labor' so they may have made some waves back in their hometown. 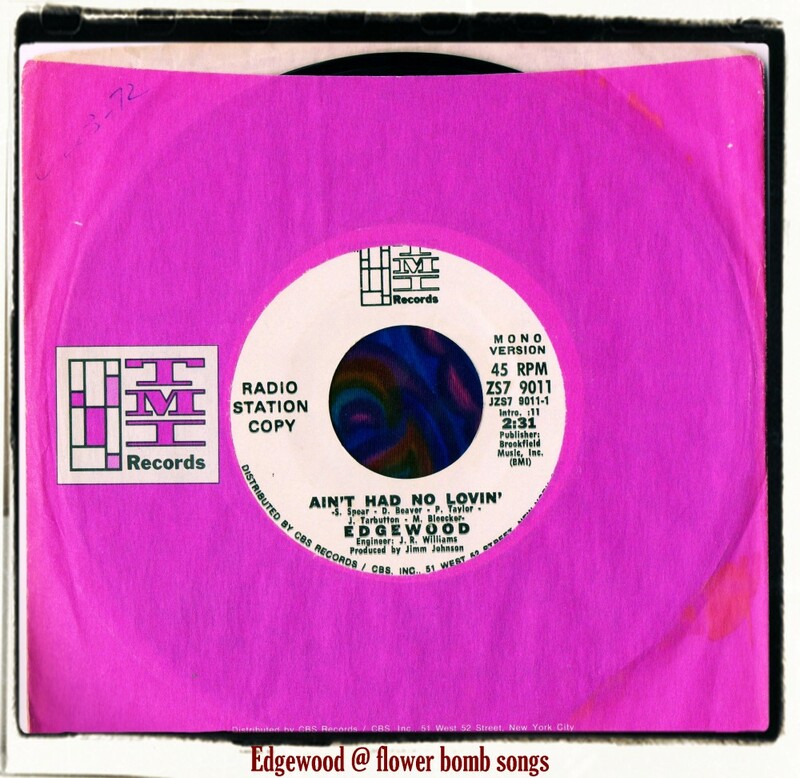 'Ain't Had No Lovin' is laid back west coast style hippie rock circa early 70s and in places goes a bit jazzy which of course reminds me of Spirit. My record has a mono and stereo version but stock copies have 'Silent' on the flip. Three members, David Beaver (keyboards), Steve Spear (bass) and Jim Tarbutton (guitar) were part of a later line-up of The Gentrys. Also in Edgewood were Joel Williams (drums), David Mayo (keyboards/guitar) and Pat Taylor (guitar)...various members took lead vocals on the album. The album version of 'Ain't Had No Lovin' clocks in at 4:40 so the edited single version is over two minutes shorter, no doubt to get radio play. TMI Records stands for Trans Maximus Inc and was the name of Recording Studios run by Steve Cropper. The record label lasted from 1971-1973.